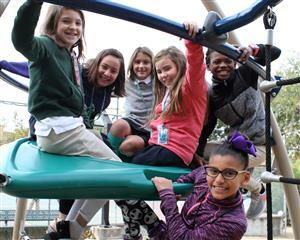 The district leads a competitive Public School Choice application process to identify, design, and launch Transformation and Innovation Schools to meet the needs and interests of our diverse learners. Learn more about these schools by accessing the navigation column to the left of this page or click here to view the school list. These schools provide students with a challenging academic environment that complements their interests, talents, and abilities. Visit dallasisd.org/magnets to learn more. Personalized Learning (PL) is a one-size-fits-one instructional strategy used by campuses and educators throughout the district. The PL Department provides robust resources, training, and support to schools and practitioners to use this model. Visit dallasisd.org/personalizedlearning for more information. With Dallas ISD's new Centralized Enrollment Department, finding the best-fit school for your child has never been easier. The Centralized Enrollment team hosts five enrollment offices known as "One Centers" throughout the district that provide a one-stop-shop for parents to learn about their wide variety of school choices, set up campus visits, and enroll in a school of their choice. Click here to visit the Centralized Enrollment webpage.